July 21 & 22, 2018. 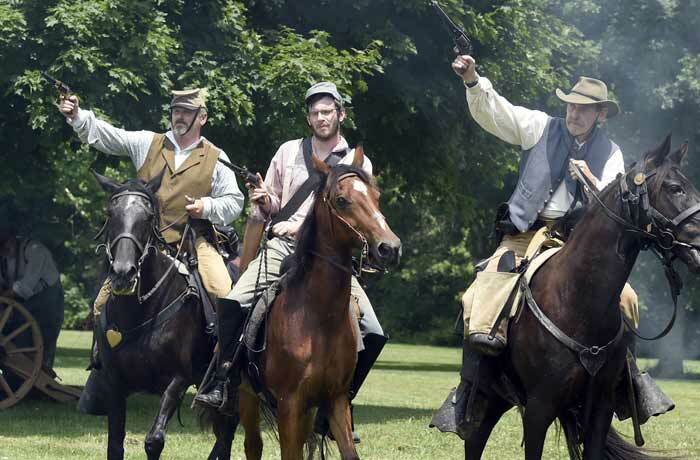 Step back in time on the grounds of the Union Mills Homestead, Saturday, July 21 and Sunday, July 22 for a Civil War Encampment and Living History. Two days of special events commemorate Civil War history at the actual encampment sites of J.E.B. Stuart’s Cavalry and Sykes’ Union V Corps. Cavalry, Infantry, and Artillery drills, living history, and skirmishes as visitors get a front row view of Civil War military forces and the effect on civilians at the Union Mills Homestead, where both Union and Confederate forces rested before the decisive battle at Gettysburg.